Olle CFC Underfloor Safe is a series of safes recessed in the floor designed to be perfectly camouflaged. Ideal for homes or businesses to protect jewellery, documents, cash or other valuables. The walls are made of steel 2.5 mm, with a top cover thickness of 10 mm. circular stainless steel door is 40 mm thick and 160 mm diameter. It has outer cover, with the possibility of being hermetic for more protection. Olle CFC Series Underfloor Safe is an underfloor model designed to be perfectly camouflaged and to provide greater security and allow design protection. It is ideal to store and protect jewellery, documents, cash, and other objects of high value in homes and businesses, taking advantage of the feature camouflage that it offers. Ollé CFC Underfloor is a high-range safe made of steel walls, built with 2.5 mm thick. On the top it has a 10 mm thick cover, also made of steel. The door is stainless and made of steel with a thickness of 40 mm and a diameter of 160 mm. This model includes a safe steel reinforcement for the concrete used at the moment that the safe is installed on the floor, providing increased strength and safety. - Class A according to UNE EN 1300. - AE level for a2p. - Class B according to UNE EN 1300. Ollé CFC Underfloor has the possibility to add a tight lid called "WATERPROOF SAFE " which prevents entry of water and other fluids inside the box, protecting documents and cash in the form of banknotes. The safe is finished with epoxy-polyester paint polymerized at 180 ° C. Ollé CFC Underfloor color is blue distance (RAL 5023). For more information about the types of lock available, tight-fitting lid or other characteristics, do not hesitate to contact us. 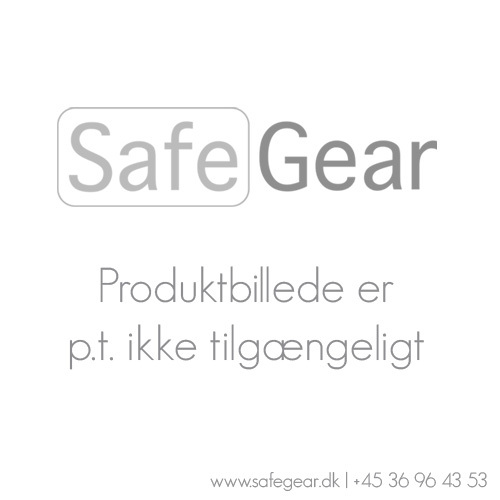 Click to return to contents of safes SafeGear. Always be sure to look at the characteristics table to know exactly the dimensions, weight and accessories safe.